Government has purchased four vehicles at a cost of over K2 million for four districts that were recently included on the Social Cash Transfer Programme in North-Western Province. North-Western Province Minister, Nathaniel Mubukwanu said government is determined to ensure the sustainability of the programme. 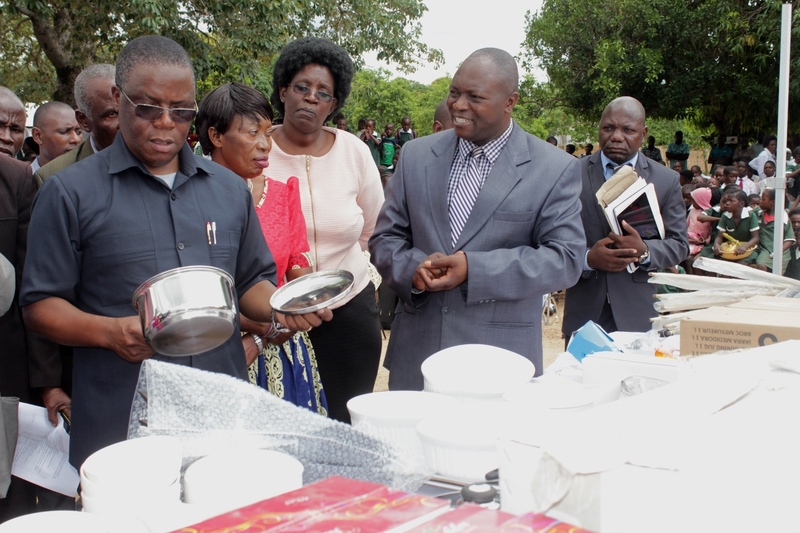 The Provincial Minister was speaking during the handover of the vehicles to the Department of Social Welfare in Solwezi. Mr. Mubukwanu has implored officers responsible for the programme to ensure that they use the vehicles to reach out to the need and not to use them for private errands. He said it is encouraging to see that the social cash transfer programme in the province has grown tremendously from 106 households when it started in 2012 to over 51,000 households in all the 11 districts of the region. The vehicles are meant to address mobility challenges officers in Solwezi, Kalumbila, Mushindamo and Mwinilunga districts were facing. Speaking at the same event, Solwezi Acting District Social Welfare Officer, Mujinga Kasapatu commended government for responding to their plight and assured that they will reach out to their clients in far flung areas. Ms Kaputula said they were struggling to reach out to their intended beneficiaries in far flung areas due to lack of transport. Meanwhile, 81 year old Stephen Malasha, a beneficiary, said the programme has greatly helped him in various aspects such as constructing and roofing his house with iron sheets and assisting his orphaned grandchild to go to school. Zambia praised for implementing the best Social Cash Transfer (SCT) programme in Africa. Make sure those cars are not used for posing and should they be found at drinking spots they should be surrendered to the ACC. This Social cash transfer is a shame. I witnessed one at Pamodzi Basic school in Ndola in February 2018 when i went to pay for tuition fees for my young sister, where senior citizens lined up the who day to receive a mere ZMW 130.00-one hundred thirty kwacha. This is one issue that has not been subject to scrutiny by the auditor general. How they decide who qualifies, I don’t know. Do they get evidence of permanent residence in a particular area? Needy old people are all over but not the whole country is covered. Again typical of inept Zambians. Go to social welfare offices and find out the criteria period. It is not a secret. The only thing missing is including people with shallow brains like UPND cadres who condemn everything. This programme started in Kalomo and after identifying the positives, government has been scaling it countrywide. So just wait your underweight relatives in you village will be included eventually.